The name aquamarine is derived from the Latin word aqua, meaning water, and marina, meaning the sea. 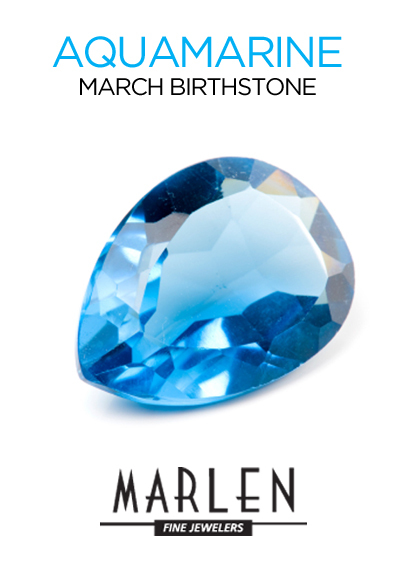 This gemstone was believed to protect sailors, as well as to guarantee a safe voyage. The serene color of aquamarine is said to cool the temper, allowing the wearer to remain calm and levelheaded. Its pale, cool color beautifully complements spring and summer wardrobes. Aquamarine is most often light in tone and ranges from greenish blue to blue-green; the color usually is more intense in larger stones.